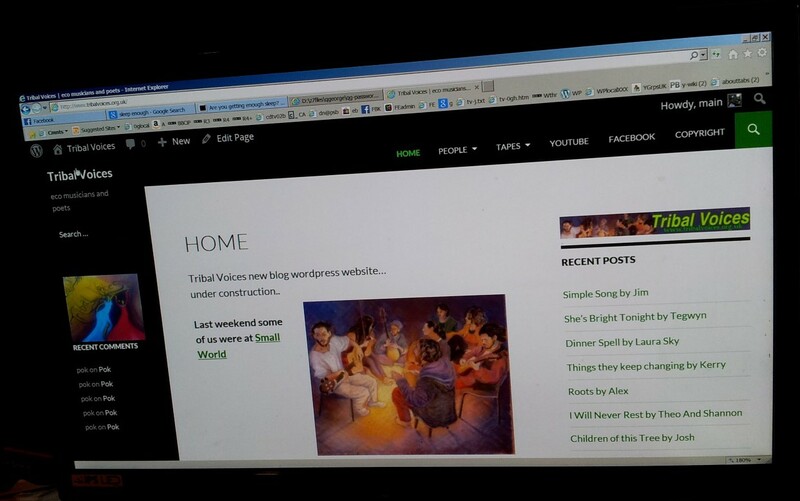 The old HTML2 Tribal Voices webpages were edited and uploaded many years ago by me (George), and by Tim and Vicky using FTP. 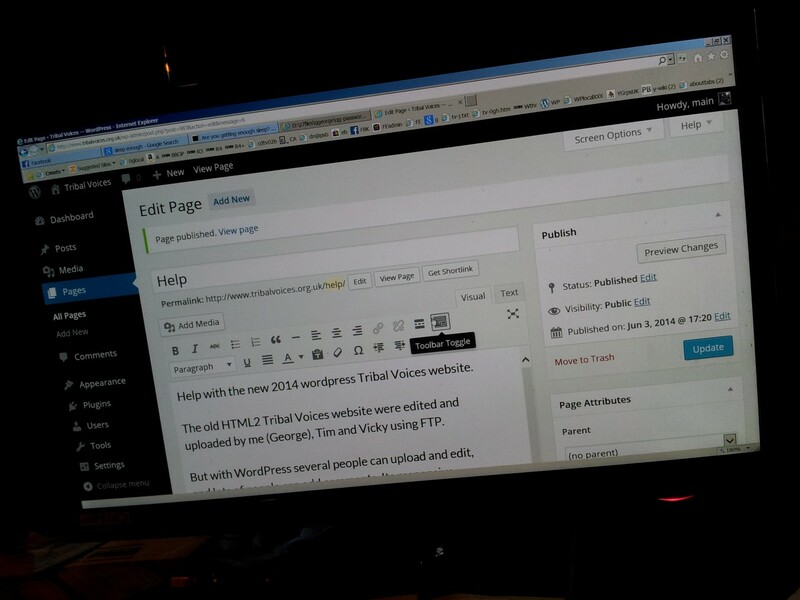 But with WordPress several people can upload and edit, and lots of people can add comments. It is responsive HTML5, and the Search is fantastic. Youtube videos are easy to add to pages. Looks good on phones and widescreen. Lovely user interface. There can be WordPress Posts for each song and each video and each event. There can be thousands of photos, Posts and Pages, WordPress is powerful. Please add comments with ideas for improvements.